For the record, I'm now home from my adventure at Odyssey Writing Workshop and doing my best to readjust to normal life. There will be a full debriefing coming soon, along with an impromptu "state of the blog" address. In the meantime, however, I wanted to share my latest publication news. A science fiction story of mine called Battle Lines is featured in issue 7 of Plasma Frequency Magazine, which is now live. You can read the digital edition for free at the link above (or buy a copy of the print edition, if you prefer to hold it in your hands). If you dig Plasma Frequency, you might also consider supporting their fundraising efforts on Indiegogo, so they can stay in business and keep paying the writers and artists that contribute to each issue. Battle Lines is a flash fiction piece about a soldier at the end of his rope following a battle aboard a starship. I wrote this story as part of an online writing group a couple of years ago. 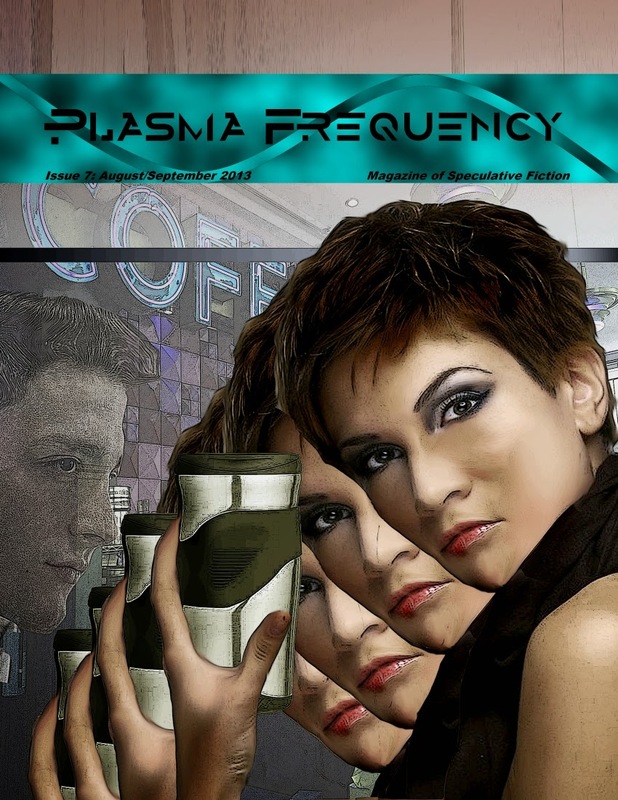 In fact, it was one of the first flash-length stories I ever wrote, and I'm happy to have found a home for it in Plasma Frequency. This is also the story I read at the Odyssey Science Fiction & Fantasy Slam at the Barnes & Noble in Nashua, NH (though the version I read there is a little different from the one featured in PFM). That's awesome! Congratulations. That's cool news to return home to. Congrats, the Plasma story sounds cool and so does the Odyssey workshop. Odyssey was a blast! Thanks, Catherine.